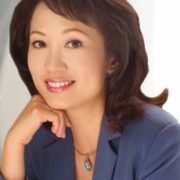 Maya Hu-Chan is an international management consultant, executive coach and author. She specializes in global leadership, executive coaching and cross-cultural business skills. Maya is the founder and President of Global Leadership Associates, a management consulting firm based in San Diego, California. Since Global Leadership Associates was founded in 1992 Maya and her associates have trained and coached thousands of leaders in Global Fortune 500 companies throughout North and South America, Asia, and Europe. Maya herself has worked extensively in China, Taiwan, Singapore, Hong Kong, India, Korea and Japan, helping global organizations to develop their leaders and their teams. 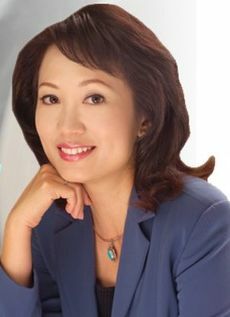 Prior to her consulting career, Maya was an anchor for the China Broadcasting Company in Taiwan, and served as the CEO of a non-profit organization in San Diego, California. She has lectured at the Brookings Institution, University of California, San Diego (UCSD), University of Southern California (USC), Pennsylvania State University, and International MBA Program at University of Chicago. Harvard Business School has chosen Maya’s book “Global Leadership: The Next Generation” to be one of their Working Knowledge recommended books. The book has been translated in multiple languages. “Leading the Global Workforce Best Practice Award” by Linkage Inc.
Former Advisor of Worldwide Association of Business Coaches (WABC); Board of Director of the Girl Scouts, San Diego-Imperial County; Commission of the Status for Women (City of San Diego); Workforce Development Council; and Asian Business Association of San Diego. Click here to visit Maya Hu Chan’s website.